Originally from Chicago, he then moved to Nashville after graduating from college and spending a year traveling with his band — I think we relate well because of the traveling musician connection. He has written four books including his latest The Art of Work, and also teaches a popular online course called Tribe Writers. Jonny Nastor: Hack the Entrepreneur is brought to you by Showrunner, my brand new podcasting course. Do you want to build a massive engaged audience from scratch? The Showrunner Podcasting Course is your step-by-step guide to developing, launching, and running a remarkable show that builds you an audience in the age of on-demand audio content. Go to Showrunner.FM, and get on the list to be part of the extremely limited pilot launch. Receive a huge discount, and get exclusive pilot launch bonuses. Find out more at Showrunner.FM. Get on the list. Voiceover: Welcome to Hack the Entrepreneur, the show which reveals the fears, habits, and inner battles behind big-name entrepreneurs and those on the way to joining them. Now here is your host, Jon Nastor. 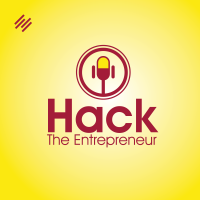 Jonny Nastor: Welcome back to Hack the Entrepreneur. I am so glad you decided to join me today. My name is Jon Nastor, but you can call me Jonny. My guest today is a communicator, consultant, creator, and an entrepreneur. He is also a writer, speaker, and a master at audience building. Originally from Chicago, he then moved to Nashville after graduating from college and spending a year traveling with his band. Maybe that’s why we relate so well. He’s written four books, including the newly released The Art of Work. Also, he teaches a popular online course called Tribe Writers. Now let’s hack Jeff Goins. I want to take a minute to thank our awesome sponsor FreshBooks, not just for being our amazing sponsor of the show, but also their support is so damn good. I’m trying to get it for my year ends to get down to my accountant, and I’ve realized my expenses from my bank account can be linked directly to my FreshBooks account. It’s all automatically done for me — amazing, right? I have a software company, as I’ve said, but I’m not very technically savvy. So I was doing it completely wrong. I instantly called them and got on the phone with a real live person who walked me through in two minutes, and it was immediately done. The report was sent off to my accountant. I just need to thank them because I may have smashed my computer otherwise, and that would have been a very expensive mistake. Try it absolutely free today at Freshbooks.com/Hack and join over five million users running their businesses hassle free like I did today. Be sure to enter ‘Hack the Entrepreneur’ in the ‘How did you hear about us?’ section. Welcome back to Hack the Entrepreneur. We have a very, very, very special guest today. Jeff, thank you so much for joining me today. Jeff Goins: Jon, thanks for having me. A pleasure to be here. Jonny Nastor: It’s all my pleasure. Alright, Jeff, let’s jump straight into this. As an entrepreneur, Jeff, can you tell me what is the one thing that you do, that you feel has been the biggest contributor to your successes so far? Jeff Goins: No, I cannot tell you that. I wish I could, and then I would just do that thing over and over and over again. I think what I do, really, is create content. I’m a writer. I have an online business primarily helping other writers. It’s evolving into more career transition kind of stuff, and my new book sort of addresses that. Jeff Goins: To boil it down, which problems do I address and actually solve — which ones of those work and are lucrative and keep the lights on, and which ones don’t? I don’t know. I don’t know that I need to know. Obviously, I’m trying to pay attention to that and trying to be smart in terms of metrics and measuring things. I just try to create a lot of stuff with the intent of not just making things, but really making content. That’s pretty easy for me to do as a writer, and doing that as prolifically as possible. Again, with the intent to not just appease my creative muse, but to try to scratch an itch that, at one point, I have felt or continue to feel — believing that other people who are like me have that same itch. Jonny Nastor: Yeah, that’s interesting. You’re your own smallest test market. I thought your answer to this question — and I’ve thought about this for months leading up to me wanting to get you on here — you have, or what seems from the outside, an innate ability to build an audience of rabid fans around you that really, really, truly, truly relate to what it is you’re doing. How you talk about what you’re doing and the whole package of it. Is that because you are your smallest test market, do you think? Or was this more planned? Because it just seems that you really, really have that ability, and I really thought that that was going to be your answer. You’re amazing at it. Jeff Goins: Well, that’s a good answer! Jonny Nastor: OK, I’ll delete all the stuff you said, and I’ll just answer the question. Jeff Goins: Yeah, say that! Say that! I don’t think that’s the answer because, first of all, that’s not very helpful. If I were to go, “I’m really good at building an audience.” Well, great. I think you’re looking at the outcome, and you’re asking me about the cause. It’s this stupid thing that people say all the time now. This word ‘authenticity.’ Like, “Just be authentic.” That’s not really what they mean. I could tell you about the fight that I had last night with my wife, and that’s me being authentic. 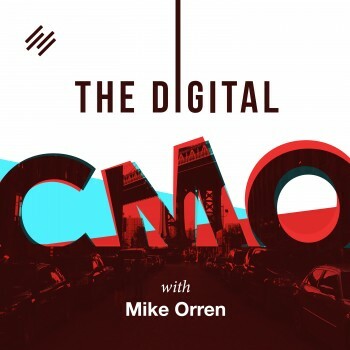 Jeff Goins: That’s not necessarily helpful or valuable to your audience. Maybe it is. If we’re talking about marriage or the tension between work and family, maybe. This idea that I can just spill my guts and people will care, that’s not the point. The point is, how can I share something that other people can connect with? If you do that enough times, you have an audience. But that was the furthest it got. When I was doing that, I struggled. I did my best to study what other people were doing, but I felt pretty alone. I think everything that I do is basically trying to speak to that younger me, not that much younger, but a few years ago. Try to make that person feel not so alone. The world is full of seven billion people, and over half of them are online in some form or another. If I write for somebody who’s just like me, chances are I’m writing for a lot of somebodys out there. Jonny Nastor: Yeah, smart. I like it. I’m interested now in this Jeff from a couple years ago, that you had this dream of being a writer. Yet you are a writer, but you’re not making a living out of it. You’re not paying for the lights. What was the thought process, or what did you have to go through to convince yourself that actually you can be that writer. You can make that living. You need to take it online and step up and become somebody who can show or help other people do this as well? Jeff Goins: Well, I wasn’t a writer. I was writing, but I wasn’t a writer. I think there’s a fundamental difference between those two, and the difference is mindset. It sounds super simplistic. If I were listening to this a few years ago, I would roll my eyes because I used to think that you had to earn the title to be a writer. Yet here I was, writing for years and years, getting published in magazines, blogging here and there. Not necessarily making some huge splash, but I was doing it. Yet I would not call myself a writer at all. When people would cavalierly tell me that it’s easy or, “just seven steps to this, or 10 reasons why such and such,” I would just scoff. Yet I kept running into these situations where I was subtly sabotaging myself. Where someone would say, “What do you do?” And I’d go, “Ah, I have this job that I like, but I don’t love it. I’m sort of a marketer” — I was a marketing director for a nonprofit – “but I kind of want to do this.” I just hemmed and hawed. I didn’t have a good answer for what it is that I did. And it’s because the thing that I was doing, I felt like it wasn’t all me. It wasn’t what I was made to do. I felt like I was missing out on something. He goes, “Jeff, you don’t have to want to be a writer. You are a writer.” I mean he had seen me writing and everything. He was sort of baffled that I wasn’t calling myself a writer. He said, “You are a writer. You just need to write.” Like I said, before that conversation, I did not call myself a writer. I just thought you had to win all these awards, or get published, or something, to really earn the title. Yet I was doing things, and I was still like, “Yeah, but.” Around that same time, I was able to interview Steven Pressfield, great author, bestselling author, probably a lot of your audience is familiar with his work. He’s a writer, and I looked at him and I go, “This is a writer’s writer. Wrote this great book, The War of Art.” Love that book. He says, “Screw what everybody else says. You are when you say you are.” I know it sounds super simple, but there’s something really powerful about owning your identity and then doing it. I realized that activity tends to follow identity. What we do tends to come after the things we believe. If I believe that I’m fat and out of shape, in a moment of weakness when I’m feeling sorry for myself, I’m not thinking like a thin person. I’m thinking like the person that I project myself to be. And other people can pick up on that. Again, not to get too metaphysical, just the bottom line is, when you start calling yourself a writer — as I started doing after those two conversations — what’s that next question that people ask you? Well, “What do you write?” I was like, “Oh crap, I’d better get to work.” If for no other reason than that, start calling yourself this thing that you want to be because then it forces you to get serious about the work in front of you. Jeff Goins: That’s pretty much what happened. Jonny Nastor: You have the best domain for it. It makes sense. I love it. Jeff Goins: Well, I couldn’t get ‘Jeffgoins.com’ — and I’m badgering this Realtor to give it up, but he’s saving it for his children or something. I’m trying to get the Internet to help me sway him. That was an interesting thing, so I was like, “Oh, alright, I’ll use Goinswriter.com.” That was a commitment for me. When you buy a domain name, as we all know now, you better get locked into that thing. You can’t be like my friend Joy the Baker, Joythebaker.com. If she ever hates food someday, she is screwed, because she’s locked into her domain name. She’s locked into her brand. So when I made that decision, I was like, “I know, from this moment on, this is something that I’m always going to be. I’m always going to be a writer.” And I did. I went out and got that domain and actually printed out business cards and put it in my email signature: ‘Jeff Goins, Writer.’ It was a commitment because I wanted to put this out there so that I could actually start doing it. That was an important shift for me. Jonny Nastor: Excellent. I like it. It’s a good story. That moves us onto work. Today’s a work day. You have a new book coming out. This is going to be your fourth book, I believe. Jonny Nastor: You write often. You just got off a webinar. You do lots of interviews. You’re a busy person. You’re a father. You’re a husband. Can you walk us through, Jeff, say the first 30 minutes or 60 minutes, whatever your routine is in the morning, what you went through to set yourself up to get the things done that you needed to get done today in the shortest amount of time possible? That said, here’s how I spend the first 30 minutes of my day. I hit snooze. I hit snooze again. I get out of bed because my son is crying at this point or playing in his crib or something. I pick him up. I’ve got a three year old now. I take him downstairs. Make breakfast for him. We play for a little bit. We’re doing this sort of superhero/Star Wars mashup, so he’s usually Darth Vader. I’m Batman. Batman has cool toys, but he doesn’t have a light saber. So usually I lose. We run around. We play. My wife gets ready. She comes downstairs. We sort of tag team, and at some point, in that handoff, I grab the laptop and I run away somewhere and just try to get some words down on a paper. Because some days, that’s the only time I have to write. You know, 15, 20, 30 minutes here or there. I try to get 500 to 1,000 words down that then I’ll turn into a blog post. Or maybe it’ll be a podcast, or maybe it’ll be part of a chapter for a book or something. That’s the beginning of my day. It’s not that exciting. It’s fun for me. I like being Batman. I like fighting Darth Vader. Most of my life is figuring out how to create amidst chaos. I had this weird idea that once I quit my job, I would have all this time to write. Somehow, magically, all of my time, as you mentioned already, webinars, interviews, et cetera, all of my time that I thought I’d spend writing got filled with doing other activities. And some days, work just feels like a job. Then how do I balance that with all of the rest of life. For me, right now, at 32 years old, life does not feel like something to be balanced. It doesn’t feel like a teeter-totter to be balanced. It feels like a tension that has to be managed. Those first 30 minutes of the day are one snippet of how I try to manage that time. Jeff Goins: Sorry, sorry. You can edit that out. Jonny Nastor: No, I love it. In it, you mentioned principles behind what you do, somebody had said. With Seth Godin talking about the cornflakes that Stephen King eats, I think I’ve hammered it home enough to my listeners, but I really want to clarify if not. The principle behind why I ask that question is not so that we can listen to you, Jeff, and then do what you do. I really love to show the absolute diversity and the fact that I absolutely believe with all my heart that you have to find out how it is you work — where and how you can get the stuff done that you need to get done. That is completely different, and you can’t get it from a blog post. You can’t get it from a podcast — that there’s these nine steps that’s going to make you Jeff Goins. It’s just not going to work. I really try to show that there are people who — they literally sleep in till noon, and they run million-dollar businesses — that are on this show. Then there’s guys who get up at five in the morning every single morning, and there’s ladies who, they don’t work until noon, but they still get up. I’m just trying to show the diversity and the fact that you do have to be confident in how it is you do it. I love that you battle your son every day, as Darth Vader. That’s awesome. That’s cool because you do really cool stuff still. I think that needs to be shared — the fact that you can do that and still be successful. I love that. Jonny Nastor: That’s my opposite of a preface. I’m not a writer. Jeff Goins: Sure, it’s your epilogue. Jonny Nastor: That’s my epilogue to the question. Jeff Goins: Yeah. Thanks for that, Jon. I think that’s so important, and I appreciate you putting that out there because I do think there’s sort of this idea that if you could just get things done in the right order, then you would be successful. Often, what makes a day a success for me is not the nine things that I do that are total wastes of time, it’s the one thing that hopefully I got right. Sometimes it’s just creating content. Sometimes it’s that one relationship or connection that I made. I get overwhelmed with a lot of different goals. I just try to do one big thing every day and give myself some grace when I spend a lot of other time screwing around, or getting interrupted, spending time with my son, whatever. It’s all an important part of my life. I love the diversity. I think that’s so important to hear. Thank you. Jonny Nastor: Yeah, excellent. The one thing, getting it done. When you get it done, sometimes it’s not going to be probably the right thing. This takes us to struggles and failures. As entrepreneurs, as just human beings in general, one of our greatest struggles is the fear of being wrong, making mistakes, and failing. Jeff, can you please walk us through how to be wrong? Jeff Goins: I think we have this idea that Michael Jordan or Steve Jobs or whoever failed until they succeeded. That somehow they succeeded in spite of their failure. We hear this story about Michael Jordan getting cut from his high school basketball team, or not making varsity, and we go, “Man, they were silly! They were wrong for doing that.” We just look back and we can’t even imagine that, right? And he changed his mindset. He went from what Dweck calls a ‘fixed mindset’ to a growth mindset, like “I can only control what I’m going to do today. Every failure is another opportunity to learn.” Going along with that basketball analogy, I like this idea of pivoting. I think that it’s possible to keep failing at the same thing and not learning it. A lot of people spend their lives doing this. For me, there’s always a hidden lesson in failure. For those who aren’t familiar with basketball — and I don’t know the sport that well — but when you have basically exhausted all options, you’ve dribbled. You’ve stopped. You’ve taken your steps. You can’t move any further. You’re too far away to shoot the ball and make a basket. You basically have run out of options, except that you still have a pivot. You can basically turn in 360 degrees and then pass the ball to a teammate and keep the game going. Jonny Nastor: Jeff, thank you so much for taking the time to join me. I apologize for that sort of sudden ending. The last about minute and a half of our conversation actually got cut off. Somehow my computer completely stopped recording it. We were going to try to redo it, but it wouldn’t work, and the conversation was too good to get rid of because of that. The last minute and a half was just us thanking each other for our time. I felt I needed to release it anyways. Sorry about that sudden … It happens in this game. It’s what we do. But, Jeff, thank you so much. He said a lot of smart things. Jeff is a smart, smart young guy that is doing some really cool stuff, has written some amazing books that I truly recommend you read — The Art of Work. I will link to it in the show notes for you. Definitely check it out because Jeff is a smart guy. He said a lot of smart things, didn’t he? He did. He said a lot of smart things. But then he said that one thing. One thing. Did you get it? Did you hear it? Let’s do it. Let’s find the hack. Jeff Goins: Life does not feel like something to be balanced. It doesn’t feel like a teeter-totter to be balanced. It feels like a tension that has to be managed. For Jeff, right now, life isn’t something that needs to be balanced. It’s something that’s a tension that he needs to deal with. You need to enjoy it. You need to thrive in it. You need to know that this is right for you. And so it was beautiful the way he just started this bold statement with “for me.” You need to think this way. I can tell you how every one of my guests works, how they think, how they struggle through stuff. But, you need to find the ones that work for you. You need to confidently go in that way. Thank you so much, Jeff. I really, really appreciate you coming on the show. Again, sorry about the ending getting cut off, but the show was awesome. It was so, so good to talk to you. Thanks for the hack, Jeff. Speaking of my business and your business. I want to help you start a podcast. Podcasting in the last seven, eight months has completely changed my life and my business in ways that I couldn’t even have imagined last summer when I started. Now I have partnered with the Copyblogger team and Jared Morris of Copyblogger to build Showrunner: The Podcasting Course. This week, Friday, we are going to be doing a pilot launch. We’re going to let a certain amount of people in at the beginning. We’re going to be open for two weeks. This is going to be the discounted price that you’re never going to get. There’s hundreds of dollars off the full price. We’re going to close the doors after two weeks. The only way to get into this course, or to even hear about it, is to get onto the email list. Go to Showrunner.FM. At the top, there’s a place to put in your email. If you drop your email in there, on Friday, you will get an email from us that shows you and tells you about the course. It’s only going to be open for two weeks for a discount that will never be seen again. And we will not reopen the course for another few months. We’re going to help each one of these people. We’re going to walk through with them to build the course better, to build their podcast, to launch their podcast, and to make them showrunners. If you would like to learn from me how to podcast and how to create and build a massive audience fast, or hopefully as fast as I did. I guess I can’t guarantee that, but podcasting has been truly transformational for me. My show has now been downloaded close to 400,000 times — which is absolutely mind blowing to me. I put a lot of hard work into this course. I would like you to be a part of it if you at all want to try out podcasting for you and your business and your audience-building. Showrunner.FM is the site. Check it out. Get on that email list, and we can start some shows together. Thank you so much. This has been a lot of fun, as always. I truly, truly, truly appreciate you taking the time to join me. Until next time, please keep hacking the entrepreneur.